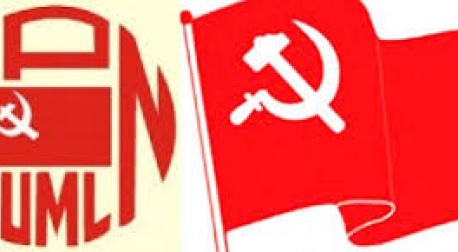 KATHMANDU, April 10: Leaders of the Federal Socialist Forum Nepal (FSFN) have expressed surprise over what they called "unexplained delays" in putting into writing an understanding reached between their party and the left alliance on the issues of power-sharing and constitution amendment. Prime Minister KP Oli had started talks to bring FSFN in the government weeks after he became prime minister in February. Following more than a dozen rounds of talks, the left alliance and FSFN last month had agreed, in principle, on a draft agreement on power-sharing and constitution amendment. The meeting had ended without signing the agreement due to some differences on wording of a clause related to constitution amendment. But even as a month has passed since the meeting, leaders from the two sides have yet to resume discussion on the understanding. "There has not been any discussion since last month," said FSFN Chairman Upendra Yadav. Some in the left alliance said that Prime Minister Oli's reluctance to make any concrete assurance on constitution amendment is the main reason for the delays. Oli has expressed readiness to make necessary revision in the constitution if its need is justified but is unwilling to make a categorical promise, according to his aides. But FSFN leader Rajendra Shrestha said that there should be specific assurance on the amendment for them to join the government. "We sat for negotiation after they signaled that the statute could be revised. We have clearly specified that a deal on amendment was a must for us to join government," said Shrestha. FSFN, which was in the forefront of the protest against the constitution, has owned up the constitution albeit with reservations. The party has particularly objected to Article 274 of the constitution saying that there is a need to amend the article to make it easier to redraw the federal boundaries in the future. In addition to that, the party has also demanded for a federal commission to be set up permanently to resolve all disputes pertaining to federal boundaries. FSFN leaders said that there has been tentative agreement on the issue of power-sharing. The party is likely to get three ministerial portfolios including a post of deputy prime minister.